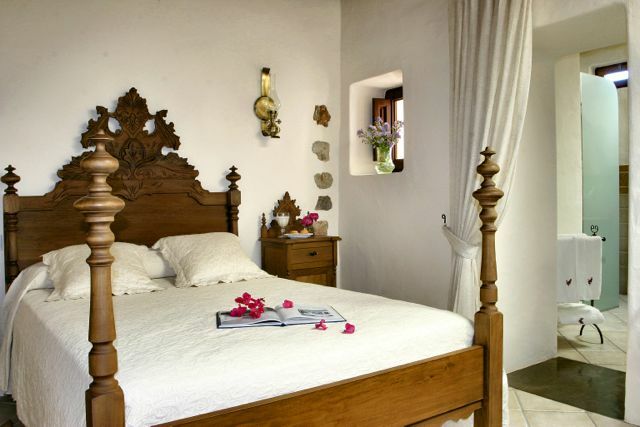 We love to make you feel at home... in luxurious Ibizan style. 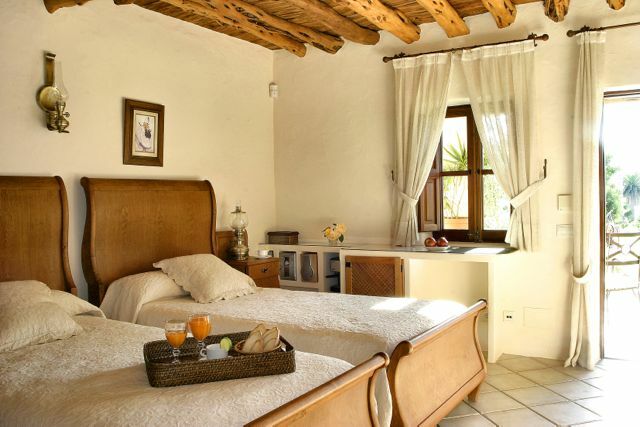 In our guest rooms you will enjoy a romantic ambience in natural rustic surroundings. You will feel relaxed and at home. The hotel has 11 double rooms all with their own personality in which you will find a unique and special atmosphere. 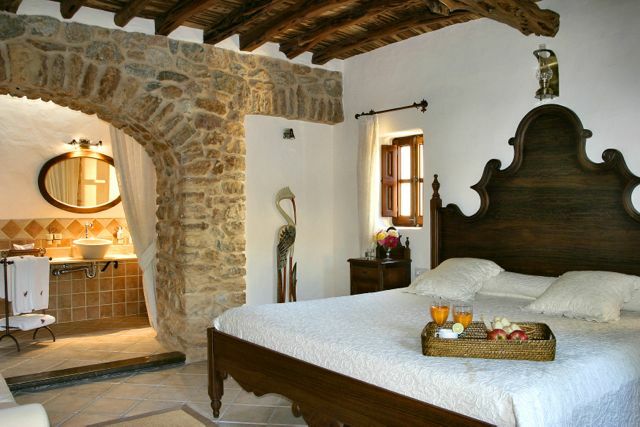 All the beds are handmade by local craftsmen from wood and wrought iron.Thus creating a special comfortable place where we are sure you will have a wonderful time. In the rooms you will find minibar, safety boxes, wi-fi, TV, hydromassage showers, hair-drier and air-conditioning/heating, The hotel has a capacity for between 22-32 people. To celebrate your wedding here it will be necessary to book a minimum stay of 3 to 4 nights to ensure the total privacy necessary for such a special day, your wedding day. It is YOUR wedding day to enjoy with your family, friends and guests. An unforgettable day, you will be able to organise all the necessary details with calm and tranquility.